Manufacturers are coming to the market with so much exciting innovation for their wireless speaker and Bluetooth speaker customers that there’s really no excuse to be sitting on the fence about static or wireless speakers. Denon, a world leader in home entertainment products, knows that customers want to be able to fill any room with great sound from their favourite music sources. Music has a new lease on life with wireless and Bluetooth. If you’re not yet on the bandwagon, we suggest you catch up fast because you’re missing out on a world of unrivalled audio pleasure. Let go of the frustration of your music being trapped inside your phone or laptop. It’s time to amp-up your audio experiences with a wireless speaker or Bluetooth speaker featuring the awesome HEOS wireless platform from Denon. HEOS gives you access to all your music – any tune, any room, any time. But, what is it exactly? It’s a wireless multi-room sound platform which easily connects to your existing Wi-Fi network to bring quality audio to any or all the rooms in your home – all with a state-of-the-art app for iOS and Android. Elegantly-designed, compact wireless speakers deliver the Denon difference from the world’s leading online music services, including top cloud sources, legacy sources, and any smart device in the room. Whether you have one wireless speaker or Bluetooth speaker, or one in every room, you can now enjoy your favourite cloud music services to the fullest. HEOS also allows you to stream your music collections stored on a hard drive, thumb drive, or NAS drive. You have all the options you need and all the access you want to cloud sources like Spotify, Deezer, TIDAL, Napster, TuneIn, SoundCloud, and Mood Mix,. The HEOS app is so easy to use; the interface couldn’t be more simple (because when you need your music, you need your music, and Denon understands that). The system integrates dual band Wi-Fi to provide long-range, high bandwidth, which means that you have the freedom to place your HEOS products anywhere in your home. Then there’s also the HEOS Range Extender, which can be used to strengthen the entire home network for all Wi-Fi devices. 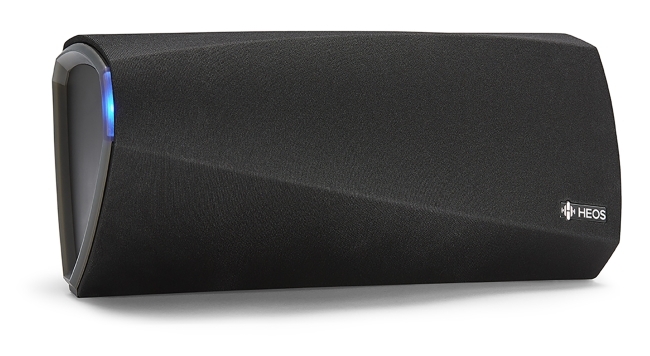 Enter the world of wireless with something like the HEOS3 HS Wireless Speaker. Perfect for small to medium sized rooms, like your bedroom, home office or kitchen, this may be a compact speaker but it doesn’t hold anything back when it comes to features. Expect big, clear sound from highly-tested, recording-studio-grade engineering with support for high resolution audio. There’s a world to explore when it comes to the pleasure of a wireless speaker or Bluetooth speaker, and Denon has hit the nail on the head. This entry was posted in HEOS by Denon. Bookmark the permalink.